Alpha 14: H.E.L.O. Scavengers, Data Tool, and more! Hello, all! We’re switching patch day to Monday, although this first one is a bit late during our transition patch day here! And now, for Alpha 14! Scavengers are now added to the H.E.L.O. 20% of all Meat Points generated (i.e. animals being eaten) in each zone during a week gets added as Carcass Points in the that zone. Each zone contains a carcass point value based on this. Carcasses can age and therefore have 3 states: fresh, old, and decaying. They move through the states in that order. Each week Carcass Points from one state get put into the next state as they age. Fresh Carcass Points can be eaten by scavengers, but also carnivores. Carnivores that are not also scavengers will only eat fresh meat in this way, representing for example a jaguar returning to a large kill for a few days. Old Carcass Points can only be eaten by scavengers. Decaying Carcass Points can also only be eaten by scavengers, and the uneaten decaying Carcass Points at the end of that cycle will turn into detritus in the next week in that zone. This allows a player to balance between more scavengers or more decomposers, as the amount of scavengers will impact the amount of decomposers needed. Animals have preferences for food. For example, some herbivores prefer fruits while some prefer leaves. In the same way, some carnivores are set to also be partial scavengers. This means they can eat all Scavenger Points available in the zone. This is determined based on their real life behaviors, such as coyotes being carnivores and scavengers. Clicking on a carcass pile brings up information on the Carcass Points in the zone. While scavenger territories have a radius, they can consume Scavenger Points from anywhere in the zone where they are placed. 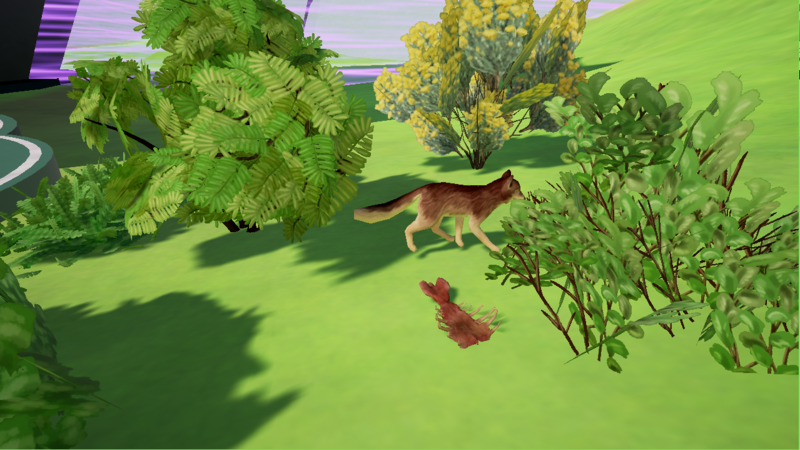 Animals in the H.E.L.O now play animations as they rotate between eating, sleeping, walking, running, idling, and dying. This system is new and still has some known issues (see below) that will be improved over the following weeks. When animals in the H.E.L.O. 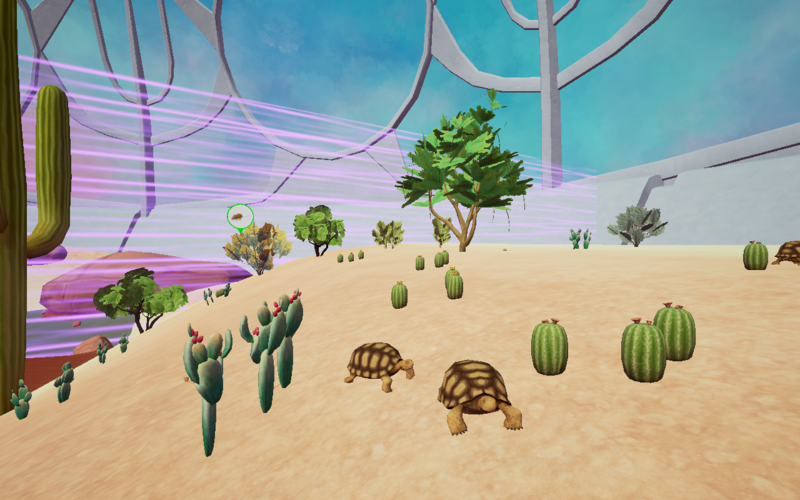 die, they now play their death animation and the territory marker remains for another week so users can better understand what is happening in their biodome. Reduced the number of actions it takes to Register animals from the Biodex. Instead of scanning for 3 separate pieces of information, one scan now unlocks all the information in that section. It’s the same for each Biodex section. It now takes 5 research points until you are complete, 4 on adults and 1 on a baby of the species. 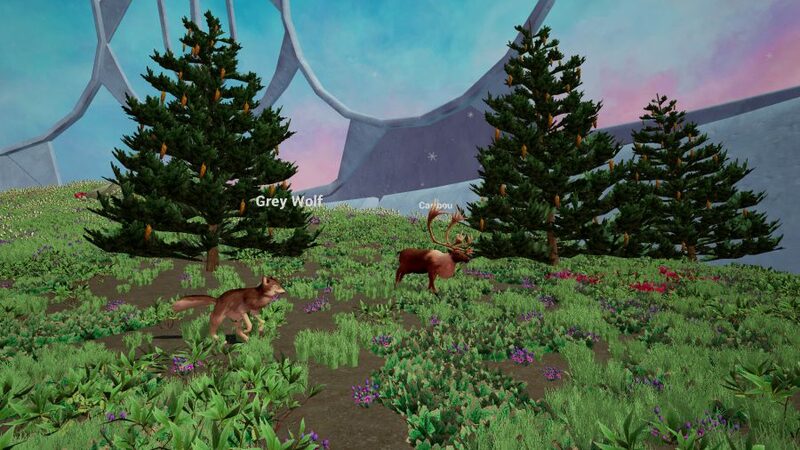 Players now have access to the Data Tool in the H.E.L.O which displays global and zone level information about producers, decomposers, scavengers, and different level consumers in the player’s biodome. 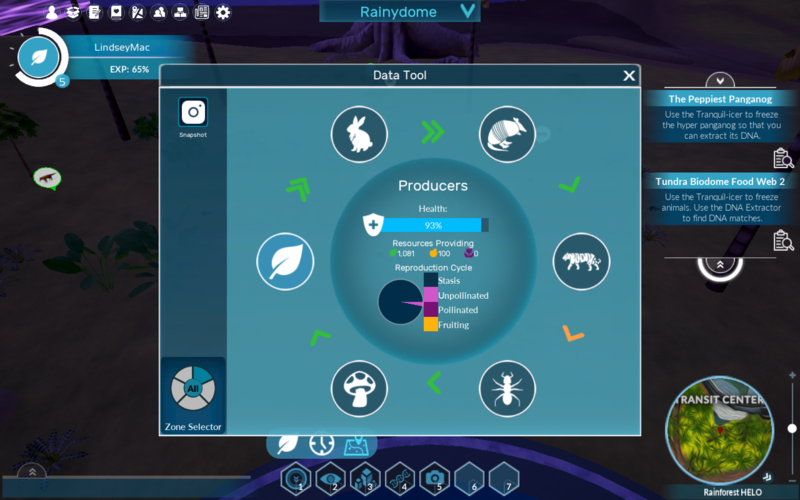 Overall, the Data Tool now shows a cycle of how resources move through the ecosystem: from producers to primary then secondary and tertiary consumers, to scavengers and decomposers. And of course then the cycle starts over again with plants fertilized through decomposition. Overall, each category (producer, scavenger, etc.) shows the status of its available resources and if it has enough for its needs or not. Clicking on any of the categories will bring up specific information about that category. For example, Producers show current leaf, nectar, and fruit points; the current distribution of reproduction cycles; and the number of blooming plants that have been pollinated. The information like this on each category is meant to help with broad assessment of your resources and areas you may need to intervene, like adding more pollinators if you want your plants to reproduce! 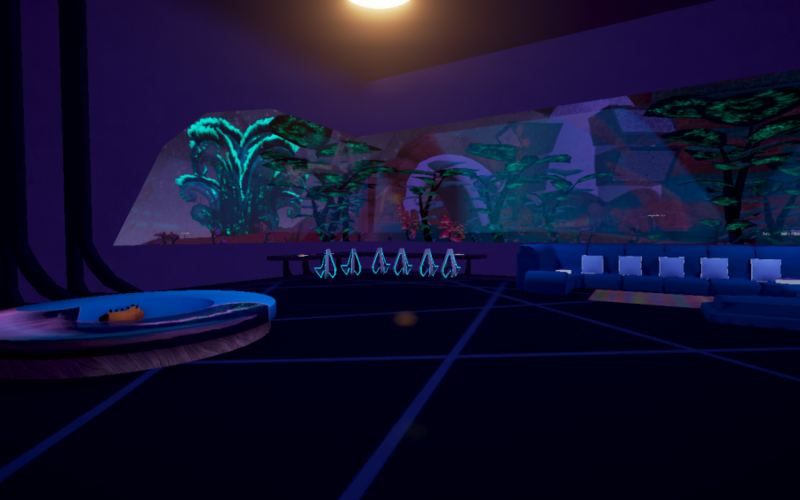 Currently only the Snapshot view is available, but look forward to more tools to get a better look at your biodome! We added a new tree to certain districts! We’ve been calling it the Jellyfish Attack Tree. We tweaked the water in the Amazon so that it…you know…looks like water. We improved the lighting at night for the two new shops, Carpet Diem & Up the Wall, and Furnish. 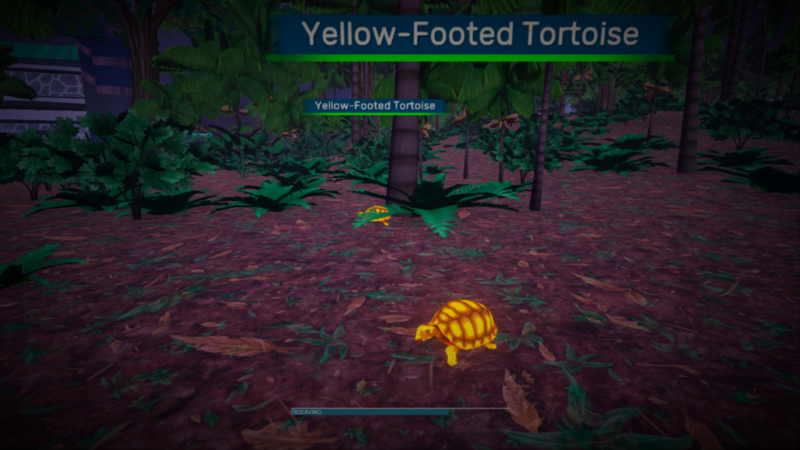 Using abilities on animals for researching now rewards the player all the information in that category, rather than having to do each ability multiple times when researching to unlock all the information. 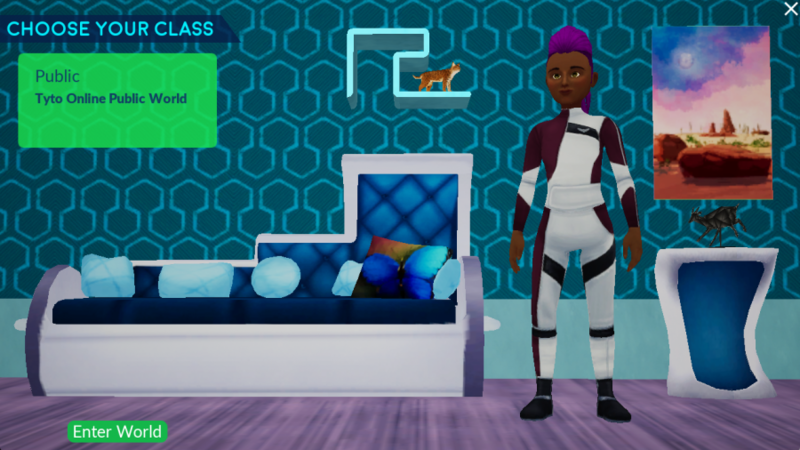 This will make researching your unlocked species much faster. Added moderation filtering for player and pet names. In the H.E.L.O., you now see a decal representing the territory’s radius size when placing and clicking on territories. On territory markers in the H.E.L.O., we re-named “Health” to “Chance of finding food” to more accurately reflect what the data represents. You now receive feedback when you finish Registering an animal and know it’s available to use in your H.E.L.O. Reduced delay in the Biodex giving feedback on research progress. 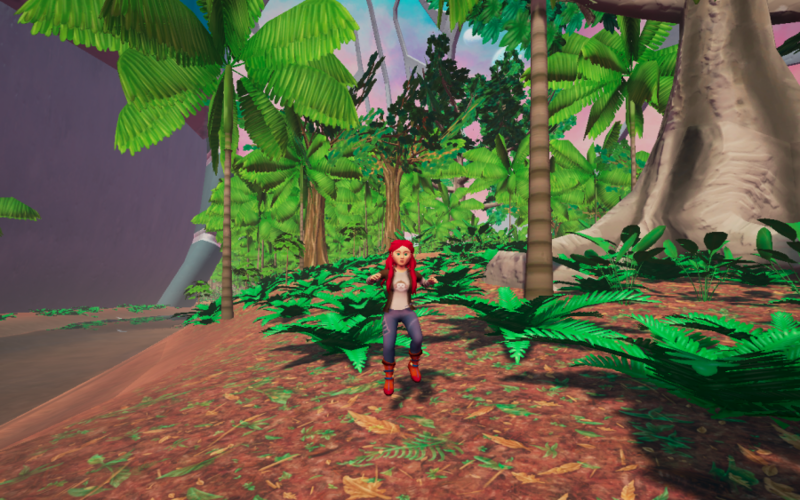 Fixed an issue where the Biodex research progress bar was not accurate for plant decomposers. Clarified that in order to unlock reproduction information in the Biodex, a baby animal must have a DNA sample taken.